Barrier Free Showers or Handicap Safe Showers are a popular home improvement for Seguin homeowners. Barrier Free Showers or “roll-in” showers as they are often referred to are especially useful for disabled individuals and the elderly or people with physical disabilities that prevent them from having full mobility. 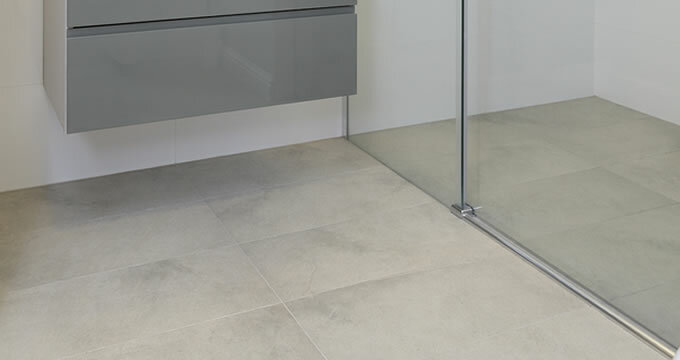 Barrier Free showers do not have a curb, or at least a very low curb so the user doesn’t need to step or lift their legs over a tub wall to get in or out. For individuals who are confided to a wheelchair then a barrier free shower can help them retain their independence and privacy without putting themselves into a dangerous situation. The bathroom is one of the most dangerous places in the home for those who have limited mobility. The ability to get in and out of the shower easily is something many people take for granted until they experience health or safety issues that can make it difficult. If you or a loved one needs to have more accessibility and independence in their life than you should consider the value in a barrier free shower. Lonestar Home Solutions specializes in designing and building custom barrier free shower solutions for homeowners throughout Seguin and the surrounding area. Every situation is unique and every homeowner will require different considerations for their bathroom project. We’ll work with you to develop the custom solution for your home. Our bathroom remodeling experts can walk you through the process of building a barrier free shower into your home better than anybody else. We’ve built many bathrooms for Seguin homeowners and there isn’t a problem we can’t overcome with a sensible solution to make your bathroom better and safer for you and your family. Transforming your current bathroom into a safe and accessible place is what Lonestar Home Solutions does best. Your new barrier free shower will improve your quality of life and make your home more enjoyable.